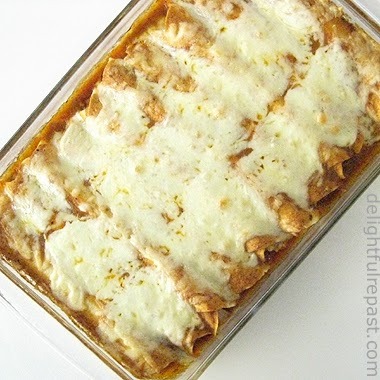 The most memorable chicken enchiladas I ever had were made by my friend Julia many years ago. Unfortunately, she and I have long since lost the recipe. But every couple of years I experiment in hopes of recreating the flavor. This time I remembered that she had used chicken legs (thigh and drumstick together), so I opted for boneless skinless thighs (organic, of course). This made all the difference. If you always make your enchiladas with chicken breasts as I did, I'm here to tell you, you are missing out on some flavor. I made these with flour tortillas (Julia's husband doesn't like corn tortillas), but I'm going to make them with white corn tortillas next time just to see how we like them. Serve these with the classic "combo plate" sides, refried beans and Mexican Rice, along with some hot sauce to heat 'em up and sour cream to cool 'em down. Customizing the flavors and using organic ingredients makes it a meal you can't find in a restaurant. 1 Heat skillet and add 1 1/2 tablespoons olive oil to it. When oil is hot, place chicken thighs in skillet and season with about 1/8 teaspoon each salt and pepper. Cook, covered loosely, for 12 minutes. Turn chicken and season second side with about 1/8 teaspoon each salt and pepper. Cook, covered loosely, for another 12 minutes. Check for doneness; larger thighs might require a few more minutes. 2 Remove the chicken to a dinner plate. Reserve the pan juices to make up part of the 2 1/2 cups of chicken broth. Using two forks, shred the chicken; place in a 1-quart glass measure. You should have 2 to 2 1/2 cups of shredded chicken. 3 In the same skillet (no need to clean it), heat the remaining 1 1/2 tablespoons olive oil and cook onion for 5 minutes (or longer, if you like). Add bell pepper and continue cooking until tender, about 5 minutes. Add to shredded chicken. 4 In the same skillet (again, no need to clean it), melt the butter and blend in the flour, chili powder, salt, pepper and cumin. Cook over low heat, stirring constantly, for 2 to 3 minutes. Remove from the heat and let cool for 1 minute. Gradually whisk in the broth. Return the skillet to the heat and bring the sauce to a simmer. When it begins to bubble, continue cooking and whisking for 5 minutes. Remove from the heat. 5 Stir 1/2 cup of the sauce, along with the sour cream, diced green chiles and 3/4 cup of the cheese, into the chicken. Taste and adjust seasoning; you might want to add about 1/8 teaspoon each salt and pepper. Lightly oil or spray a 13x9x2-inch baking dish. Spread 1/2 cup of sauce over the bottom of the oiled baking dish. Note: Pictured is the 13x9x2-inch Pyrex baking dish I've had for many years. Unfortunately, unless you find a used one at a garage sale or thrift store, you can't get one of these. For some reason, Pyrex very foolishly switched over to a slant-sided design that is simply not practical. But here is the Anchor Hocking 13x9x2-inch baking dish with lid. 6 Lay out the tortillas and divide the chicken mixture evenly among them (about 1/3 cup each for the 9-inch tortillas and 1/4 cup for the 6-inch). Roll and place them seam side down in the prepared baking dish. Rolled tightly, they will all fit in the dish; you might have to give them a squeeze to fit the last one in. Cover with remaining sauce. Sprinkle with remaining cheese. Cover with plastic wrap and refrigerate until an hour before serving time. 7 Preheat oven to 350 degrees. Bake at 350 degrees for about 40 to 45 minutes, or until bubbly. Let stand for 10 minutes before serving. Serve with sour cream and a squeeze of lime; garnish with cilantro or sliced green onions. Those look beautiful and something that I could do and the kids will eat! I wish I had your email. Yes we are going to downsize and what a great idea to blog it - thanks. Those look great, Jean!! 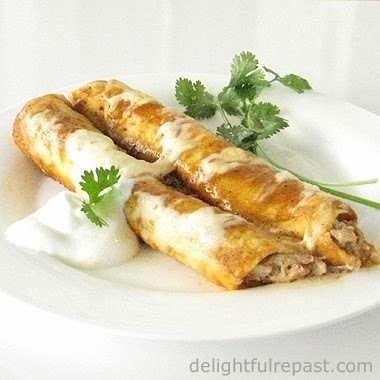 I don't make enchiladas often, but seeing these makes me want to make them tonight!!! Can you believe that I have never made enchiladas? This looks amazing! Thanks for sharing, Jean. Jenn, thanks! I hope you will make them soon. Muy Bueno! Oh, yeah – chicken enchiladas, and very generous on the queso. You’ve done it, Jeani. 5 cleavers! A boyhood retro for me into my South American odyssey. Photos look good enough to eat, and your suggestion for passing on the breast meat in favor of thighs makes sense in the context of an enchilada. I think it’s the breast meat/cheese combo that is a little too much, whereas the darker thigh meat creates a better contrast with queso. Yum! A true comfort food classic! Greg, yes, I agree. Green chiles are key. Sounds really delicious, Jean. One day I will take up cooking, seriously!!! My repertoire at the moment, as you probably know, is limited, to say the least. Tony, thanks! I think you'll have fun with it when you take up cooking. Oh my gosh, Jean,this looks amazing. I just put it in my looseleaf binder cookbook - My boys eat like there is no tomorrow- this is perfect for when they are home! Thank you so much, Cynthia! I hope your boys like them. Amy, thank you so much! And I hope you have a fantastic 2014 (one that *will* include chicken enchiladas!). these look amazing - full of great flavors - they will absolutely be a hit in my house! Mary, thank you! Hope they turn out well for you. Thanks, Grant! I'm making them again this weekend. Muy bien, Jean! 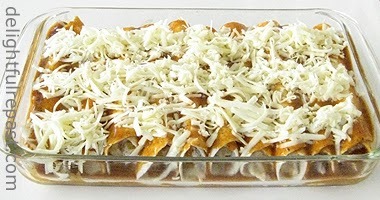 :) These enchiladas look lovely & so cheesy & inviting! 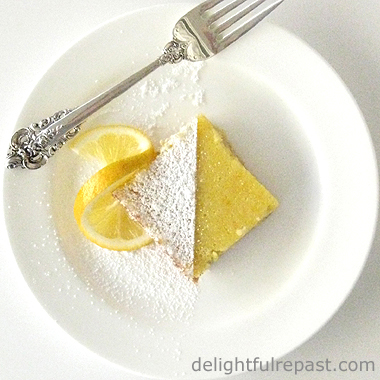 My type of food for sure :) Thought I'd pop by & have a nosey round your blog! Anyonita, thank you so much! I tried to leave a comment on your blog but couldn't do it; is your commenting limited to Google+? I'm not on that.